New Delhi: Congress leader and Former Defence Minister A.K. 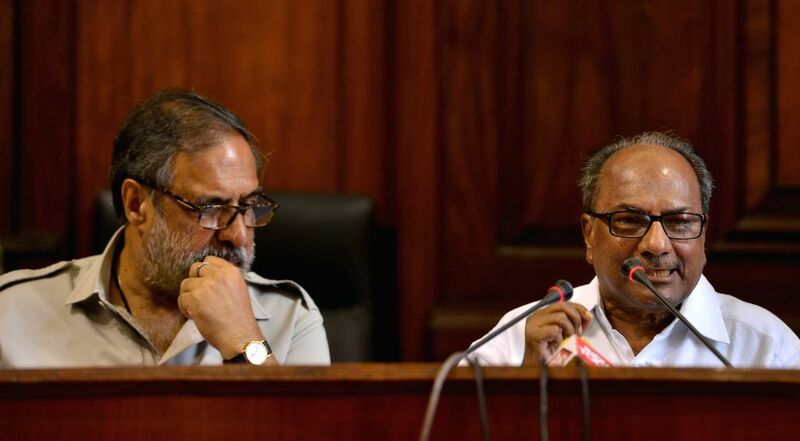 Antony with party colleagues Anand Sharma addresses during a press conference at Parliament House, in New Delhi, on July 23, 2018. 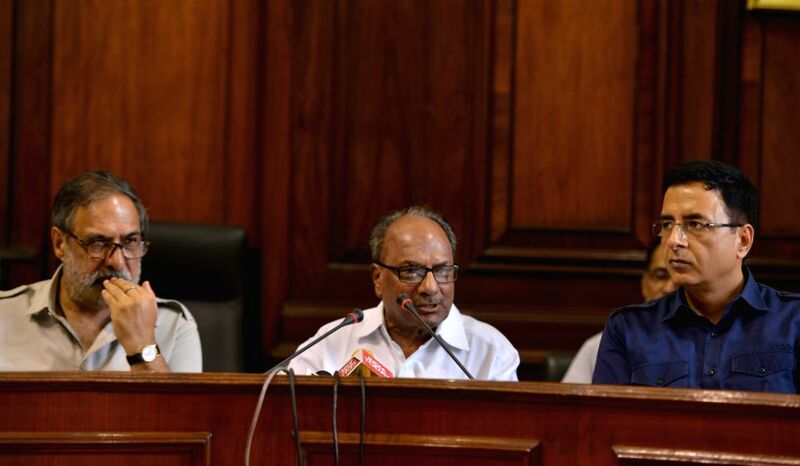 The Congress on Monday accused Prime Minister Narendra Modi and Defence Minister Nirmala Sitharaman of misleading the Lok Sabha by not revealing the price of the Rafale fighter jets bought from France and indicated it could move a motion of breach of privilege against them. Congress leader and Former Defence Minister A.K. Antony with party colleagues Anand Sharma and Randeep Surjewala during a press conference at Parliament House, in New Delhi, on July 23, 2018. Congress leader and Former Defence Minister A.K. 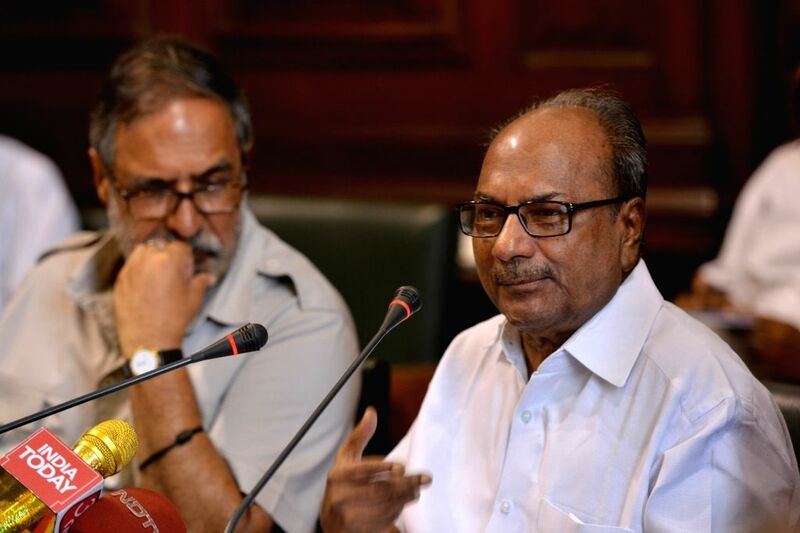 Antony addresses a press conference at Parliament House, in New Delhi, on July 23, 2018.